So one year ago today, I was posting my first ever food picture on the Internet. At the time, I had absolutely no intention of keeping a blog. Only, I had taken these pictures and my daughter convinced me that they were very good and that I should at least post them onto my Tumblr page so that others might get a chance to look at them. I had absolutely no idea what I was doing back then, (not that I know much more now…) so she had to talk me through the entire process. All it took was one picture. I was hooked. Completely, totally hooked. At first, all I wanted to do was log my daily meals and some of my recipes, so that I could go back to them when I didn’t know what to eat, and also as a way to help keep me on the right track. I figured if people were going to have a look at what I was eating on a daily basis, then I would have no choice but to keep my meals “clean”. Well, here I am, a year later. I eventually moved from Tumblr to WordPress.com, then WordPress.org. Food Obsessed eventually made way to The Healthy Foodie… some of you will remember that. There have been so many changes since that first post that I’m not sure whose birthday it is today… Is it Food Obsessed’s? The Healthy Foodie’s? Or is it mine? Not sure… but one thing I do know is that I have been blogging for a year now, so there definitely is a birthday today! For the occasion, the pastry chef in me insisted that we made a traditional birthday cake, complete with piped borders and swirls of icing on it. What an unbelievable challenge this has proven to be, to create a pipeable icing without using ANY butter whatsoever. I think I have succeeded at creating something pretty decent. Now, of course, what you see on this cake is NOT buttercream, so if you’re going to give this one a try, you can’t be expecting sweet, fluffy and airy icing. You have to approach this one with an open mind. After all, this icing was made with… dare I say it? Chickpeas… and tofu! All I know this is what I’ve been having as an afternoon snack for the last couple of days and I’ve been looking forward to the next piece every time. Of course, I will be working on this challenge some more, I will be trying all sorts of techniques to improve that icing, to make it lighter and fluffier, and perhaps a little tastier, too! I really hope that some of you do give it a try, as I’d love to hear other people’s opinions (please, don’t be too hard on me…) My daughter didn’t hate it, neither did my son, so it can’t be that bad. Oh, and one more thing, this icing tends to dry if left out in the open air, so you will want to keep it under a dome, and, of course, keep it in the fridge. This is not your typical sugar overloaded cake that will stay good for days and weeks in the cupboard! Alright, now let’s light up those candles… let me make a wish… and blow them out! Now that the cake is , I would like to want to take this opportunity to thank each and every single one of you for being here, for reading these very words. To all of you who read me on a regular basis, who comment and share their thoughts on my posts or choose to remain silent, to all of you who are there for me and support me through it all, to all of you, my faithful readers, who make it all worthwhile and make me want to keep doing this day after day after day, who make me want to give it the best that I have to offer, who make me want to surpass myself and come up with better ideas and better pictures, I want to say a huge THANK YOU, THANK YOU, THANK YOU, THANK YOU, THANK YOU! ALRIGHT, ALRIGHT, LET’S OPEN THE PRESENTS ALREADY!!! As a token of my gratitude, I want to offer you guys a present. And, since I like the store so much, I figured I can’t be the only one! So, I decided to give away not one, but two $25 Amazon gift cards to you, my lovely readers. How do you get in on that? Simply leave me a comment, telling me what you think of this cake, or my site, or what you would like to buy at Amazon if you won one of the cards. Also, follow me on any of the aforementioned sites and leave me a comment here for each different site that you follow me on. Each one of them will get you an additional entry. Of course, if you’re already following me or subscribing, leave me a comment here telling me so. The winners will be chosen at random amongst the comments received and will be announced this coming Friday, November 4. Good luck to all, and again, thanks a million! I love you, you are the best! 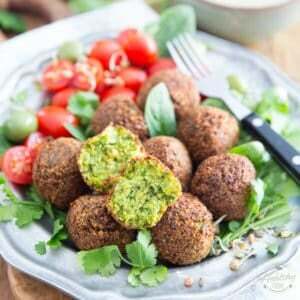 The previous day, soak chickpeas in clean water with 2 tablespoons of baking soda for at least 8 hours. Place the peanuts in a single layer (don’t forget to roast an extra ½ cup if you want to have some to decorate the side of your cake) onto a baking sheet and roast in the oven at 275F for about 20-25 minutes, stirring occasionaly to keep them from burning. Meanwhile, rinse the chickpeas well and put them in a large pot. Cover with water, add ½ tsp baking soda and NO salt. 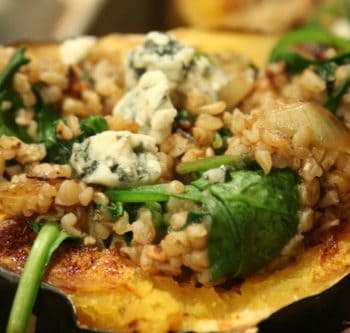 Cook until the grains are very tender, almost mushy, around 30-45 minutes. Regularly skim the surface during cooking process to remove foam and loose peels floating.When cooked, drain the chickpeas and allow to cool for a little while before you continue. When the peanuts are nice and golden (and your entire house smells like peanuts) remove from the oven and cool for about 20-25 minutes. Add peanuts to your food processor and pulse until finely crushed. Reserve ½ cup to decorate the side of the cake later. Process the remaining peanuts until smooth and creamy, about 8-10 minutes. Add chickpeas to peanut butter and process into a thick puree. Remove bowl from the base of the food processor, but leave the blade in place. Cover with plastic film (place film directly on chickpea mixture) and chill completely in the refrigerator, at least 4 hours. Break up the solidified chickpea mixture with a spatula and put the bowl back onto your food processor. Add banana, tofu, cream cheese, honey and maple syrup and process until smooth. Add coconut flour, flaxseed meal and salt and process one last time until nice and smooth. Put back in the refregirator to chill for about 30 minutes. Coat 3 round 8" or 9" cake pans with cooking spray. In the bowl of a stand mixer, add eggs, egg whites and honey. Whisk on high speed until nice and fluffy, about 8-10 minutes. In a large mixing bowl, mix all the dry ingredients together with a whisk until well combined. In a seperate bowl, add wet ingredients and blend until well incorporated. Delicately fold in egg mixture and mix until well incorporated. Add wet mixture to dry ingredients and fold in very delicately with a spatula until well incorporated. Divide equally between prepared pans and bake in a 375F oven for 25-30 minutes, or until a toothpick inserted in the center of the cakes comes out clean. Allow cake to cool completely on a cooling rack before frosting. Press reserved chopped peanuts to the side of the cake. The easiest way to do this is to put the nuts in a large mixing bowl and, while holding the cake in one hand, press the nuts against the side of the cake with your other hand, letting the excess fall back into the bowl. Repeat while carefully turning the cake until side is completely coated. 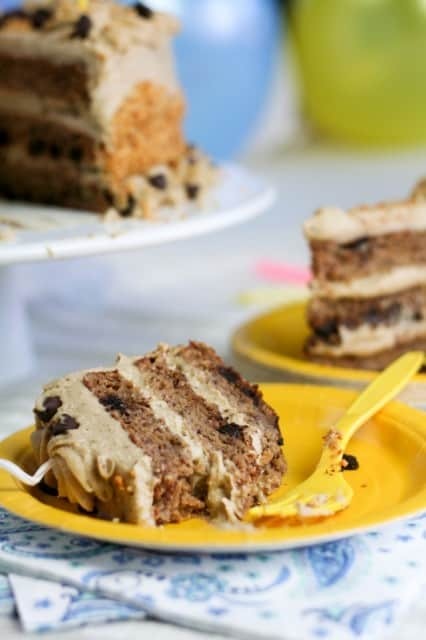 Place cake onto cake plate and pipe borders and swirls and decorate with carob chips. Sprinkle a little bit of crushed peanuts on top of your cake. Cover with cake dome and keep refrigerated. Thanks Miryam! 🙂 Personally, I find that the icing tastes GREAT, I could very easily sit down with a bowl and a spoon and eat the entire bowl on its own! 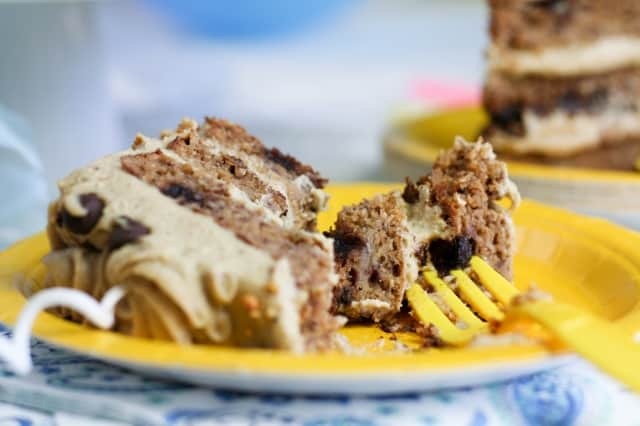 I’m not sure that you should take the word of a girl who will munch on cubes on plain firm tofu, though… But seriously, I find that, paired with the banana cake, this frosting is truly a winner. I don’t think that anyone could ever guess that it was made with chickpeas. Most recipes just pop in my mind, just like that. I’ll often sit down with my trusty note book and start writing down recipes, entirely from scratch, then put them to the test. I must be pretty lucky, as most turn out great! Sometimes, though, I will “try and follow” recipes from other blogs or sites. I say try because I have a very hard time following a recipe, especially since a lot of ingredients are off limits to me… Generally, if a recipe isn’t from me, I will cite the source right below the title, or ingredients. Congrats on 1 year! I stumbled upon your blog a few months ago and absolutely love it. I’ve made some of your recipes and very much enjoyed them. I definitely will be trying out this cake when the occasion arises! Wow, you have such talent! I can’t believe you created such a beautiful cake out of such clean ingredients! 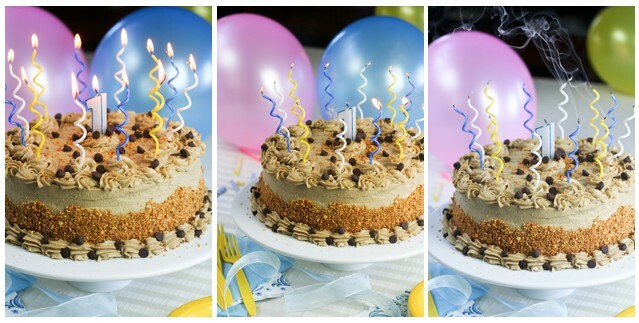 I really enjoy your recipes and wish you many more years of happy blogging! Just liked you on FB 🙂 I love all your dessert recipes! Congratulations! I found your blog through Tastespotting a few months ago and was almost immediately hooked to your outlook, transition in your diet, and your personality! Thank YOU for sharing and I look forward to what your next year brings. I LOVE your blog and all your photos and recipes! Thank you for your great ideas and inspiration for fellow healthy eaters! I’ve been following you for a while and your blog photos are some of the prettiest I’ve seen. I’m not a baker, but that banana cake? I’m definitely trying. I’m in serious need of some decent measuring cups, so that Amazon gift card would come in very handy! I’ve justcelebrated my 40th birthday and I SO wish I had of had this recipe to make! Yummo! Wow that cake looks absolutely amazing! And the recipe looks incredibly healthy! Bravo! And congrats on your 1 year anniversary! You have a good thing going here! 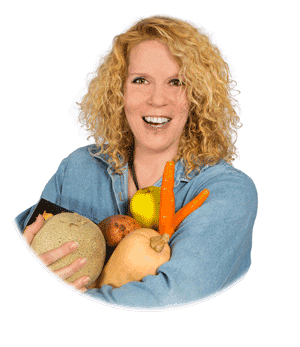 HealthyyyFoodie…such a huge inspiration on so many levels. I started following you when you first started posting on Twitter and I was instantly attracted to your food, writing style and humor. It’s not about the Amazon card, I just want to say keep up the great work and continue to be a great inspiration to your daughter first and everything else will follow. I would buy either PB2 or some new running tights. The cake looks absolutely delish! Happy first birthday! 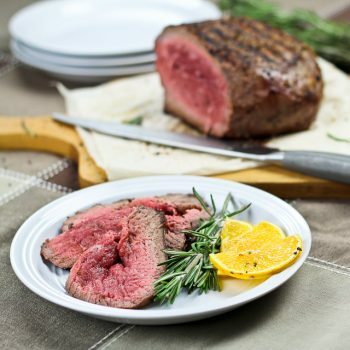 I love your blog – your recipes and photos are fabulous. If I won, I think I’d buy a new cookbook (or two)! Well, congratulations are definitely in order! Somehow I stumbled across your blog – drawn in, for sure, by your photography work. I’ve loved every composition that I’ve seen and they make me want to try each and every recipe. I wish you much more continued success in the land of blogging. I recently connected with you through Facebook. It is beautiful to see artists having a place to explore and us being invited to come along. I run a volunteer program called Chats and Tea with Katie at a local retirement home on Saturdays . I was taught by my Mennonite babysitter that baking for people expressed love. Every Saturday morning I heat up my oven to bring the seniors a treat. Now I will use one of your clean recipes. 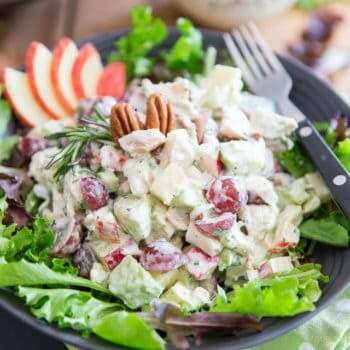 i found you site on tumblr and loved that you have all these recipes that are healthy and good for you. I especially love cake and icing but the fact that you didnt have butter in it made it all the better since i’m very conscious of what I eat. i feel very lucky to be able to find this site and use all these recipes. congrats! I can’t wait to make this cake! It looks beautiful. Congrats! 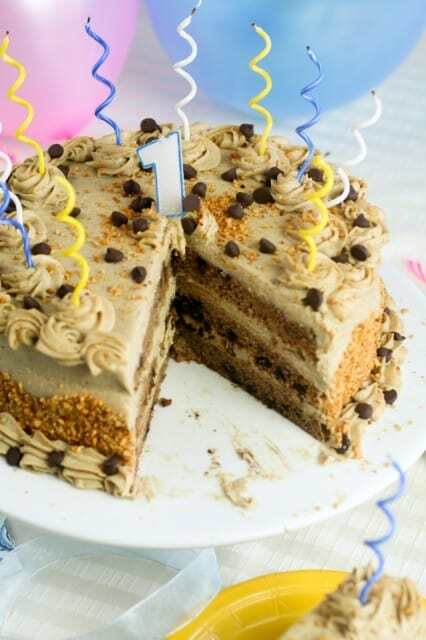 Congratulations on your one year blogoversary !! Time flies doesn’t it? WOW1 Only 1 year, it seams like I’ve known you longer. Every post has been drooled over. You have made me a chickpea fan! I thought they were YUCKY, until I ate some that weren’t canned. They are now a labor of love, as they are so much better with the outer shell removed. A bonus, the chickens go crazy for those shells. So my chickens thank you also. Happy day to you, and thanks to your daughter fo her encouragement. One year is quite the achievement. Happy Birthblog! I really enjoy your site, you have some super tasty recipes. Keep up the awesome work. Wow, amazing looking cake! I’m not sure i’d have the patience to make it, though. I looove your blog, your amazing pictures and very well written texts 🙂 Of course I follow you. 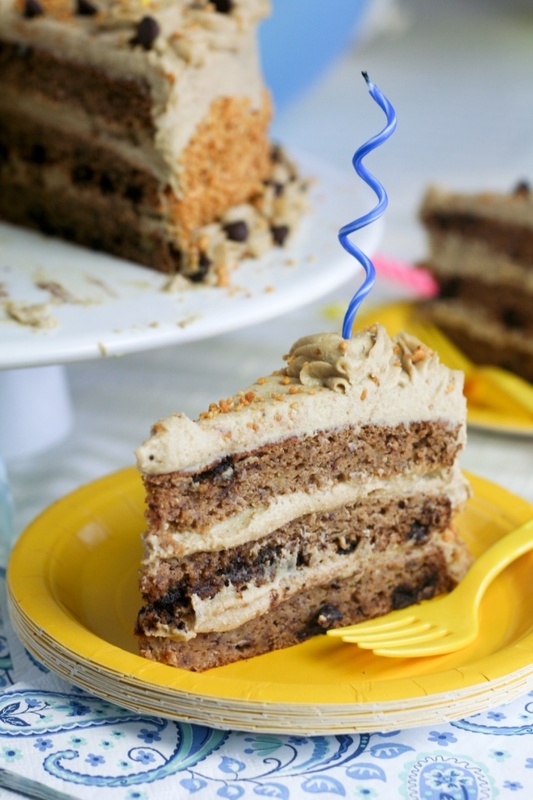 Love this option for a yet-indulgent birthday cake and the healthy-ingredient substitutes! Eager to try this one. I would LOVE to buy some cookbooks on Amazon… just realized they have editions/cookbooks that aren’t available in stores anymore! The cake looks beautiful! I would love to try the chickpea icing. I really like how you decorated your cake and I love your photos! I, too, found your blog through Pinterest, and backtracked through tastespotting. I’m 62, so I grew up with “healthy”–whole wheat bread, smoothies, etc. Your blog, though, takes a magnificent leap forward because you DO take the things you like, like baklava, and find a fantastic way to make it healthy without giving up on it. I also loved your whole wheat pizza tweak with the squash topping. I love bread making and I have young, to me, friends, who long for the healthy thing! I love your blog and all the risks you take to try and create healthy food! 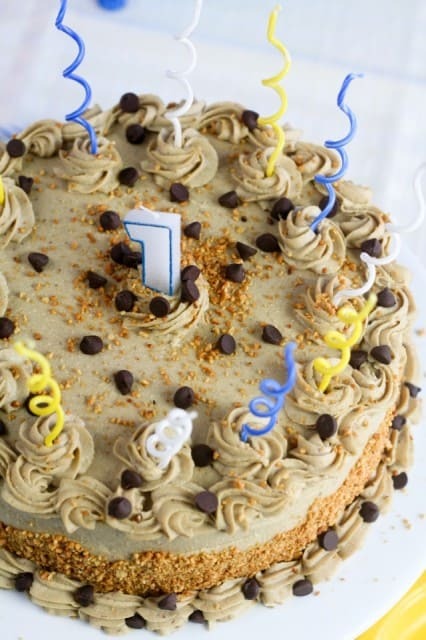 I have to admit, this chickpea and tofu icing sounds interesting….I never would have thought of that! The cake sounds delicious, and I’m really intrigued by the chickpea icing! 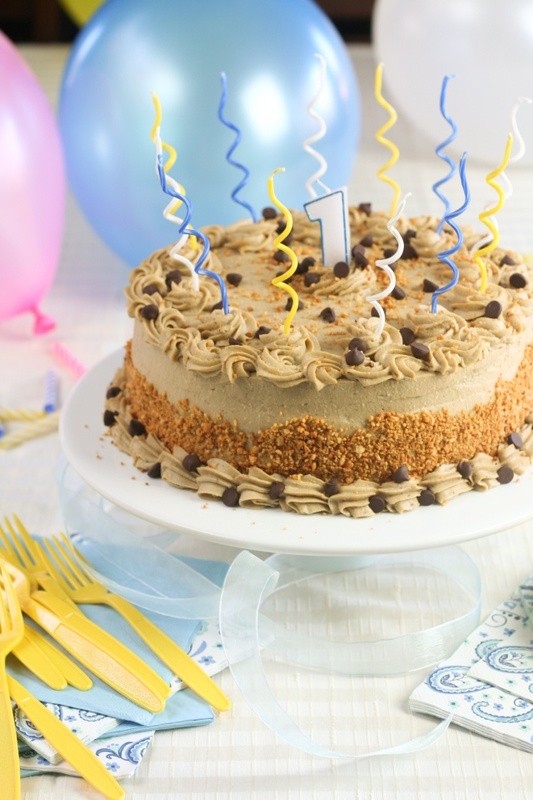 Congrats on your first blogging birthday! I can’t believe you’ve only been at this for a year, as you seem like such a pro! Your cake looks fantastic. Many more happy healthy foodie birthdays are ahead to you! This cake looks and sounds amazing!!! I’m definitely making it this week. I just celebrated my one year blogiversary too! Isn’t it crazy how time flys? I just found your blog this weekend, and I’m hooked already! 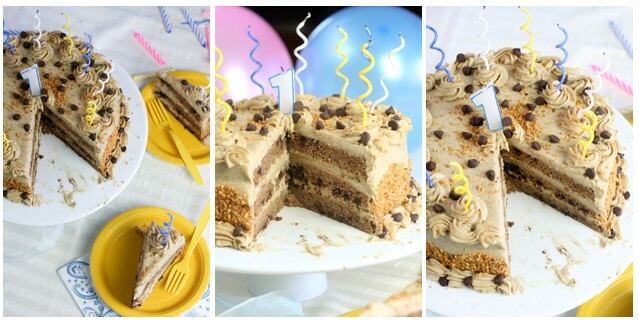 Congratulations on your 1 year blogiversary!! That’s so excited, and this cake….my boyfriend will love it! 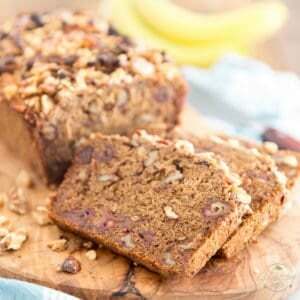 Banana bread is probably his favorite food, and now in cake form with peanut butter!! I can’t wait to try it out. Thank you for posting it!! this cake is so cute! I can’t believe you are only one year old! Less than half of my age. All the best and many happy returns!!! Have been loving your blog from the moment I discovered it and have been a very faithful visitor. CONGRATULATIONS on one year of blogging!!!! Your passion and love for healthy food and photography truly shine and come through in your posts and recipes. You are such a talent Sonia and I’m so thankful to have run across your blog back in the Spring. You’ve been an inspiration and blogging buddy ever since! Here’s to many more years, lots of posts, creativity, fun and of course, CAKE! As for that fabulous cake – it is BEAUTIFUL! You can’t go wrong with peanut butter. carob, banana and BEANS! Yay for beans 🙂 love love love this! You rock sister! Does the frosting discolor from the banana at all? I’ve made a healthy peanut butter, banana, cream cheese frosting before but it turned a light brown instead of a cream colored…but I didn’t add beans or tofu, I wonder if that helps? Congratulations on 1 year! 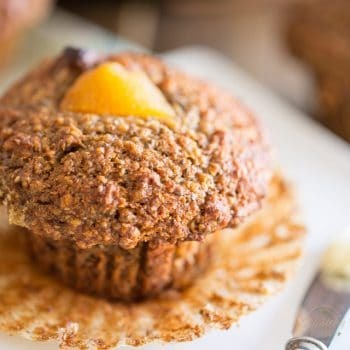 I have been following your blog for a few months now and have LOVED the recipes I have tried! I have many more saved that I will make one day. Now I’ll have to add the cake to my must try list!! also subscribed to the blog! and can’t forget about pinterest! I am totally going out and buying the few ingredients I don’t have for this. It sounds amazing. Love your blog, I am a subscriber. Oh, and also on Facebook. I am always inspired by your recipes, and this frosting is another example! I love the idea of using chickpeas in dessert recipes, especially combined with banana and peanut butter! I am also subscribed on Google Reader already! That’s it! I’m so getting this page printed and framed! 😉 Seriously, I never expected that I would be getting so many nice and heart warming comments from you all. You’re just TREMENDOUS! This is unreal. I want to thank you for your ongoing support, for reading me day after day, and for making me want to come up with new stuff week after week. You are my inspiration, you are the very reason this blog is in existence. Without you, The Healthy Foodie wouldn’t be what, or where it is today. I loooooove your blog!!!!! It’s starting to inspire me to write my own, to catalog the healthy foods I plan on eating. 🙂 Happy blog birthday. 🙂 Glad to see you are on pinterest, FB and twitter too. I don’t want to miss one nummy post! Congratulations!! One year is an amazing accomplishment, you should be so proud! I’ve only been following you since shortly before you became the healthy foodie and your blog just keeps getting better and better 🙂 Your cake looks beautiful! I have to admit the chickpeas kind of scare me, but they shouldn’t because I’ve made a sweet dessert hummus before and it was delicious. I’m so impressed that you made it so nice and smooth to be piped like that. So pretty! + I follow you on Pinterest. This cake and icing is something I would love to try! 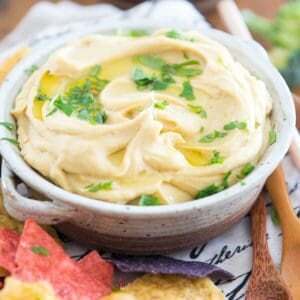 Since I already love cookie dough and cookie dough dips made from chick peas Im sure Id love it! Its also so beautful, mine would never look this good. Oh and I follow you on pinterest. The best site EVER.. I love your site! I rarely create a weekly menu without including at least one of your recipes. I like you THF on FB. Although I’ve only subscribed to this blog (via blogspot blogroll) for about 2 weeks or so, I love all of your recipes! Ooooooh! I’d be very curious to see (or try) that recipe! Is it available somewhere? I love your blog and how passionate you are about eating healthy but still making delicious food! I lost 35 pounds and completely reformed my life, but still love food and cooking. You are my go-to site for things are and both healthy and delicious! If I won the gift card I would put it towards a blender!!! I’d buy a bunch of cookbooks, of course! P.s. I subscribe to your RSS feed. So, just a couple months ago I began an effort to overhaul my diet in a major way. Your recipes and accompanying candour has helped so much in the effort, giving me food to make and a smile. And liked your Facebook. Whew! This looks freaking delicious. Your food photography is amazing. Congratulations on your blog’s birthday! I currently follow this blog. I also am a fan of your blog on facebook! this cake looks fantastic! i love all of your recipe! congrats !! You know, this is wonderful looking! I will make this beautiful cake very soon. Just discovered your blog! I am also following you on twitter! Thanks! I must seem like a stalker at this point. I’m really not! There’s only one other blogger on whose page I comment so often (and coincidentally, she left the first comment on this page). That’s got to be the most bizarre frosting recipe ever. And the healthiest! Icing has been a struggle for me because I think it’s impossible to make healthy, but you somehow did it. I’ve never had chickpeas before but Google says they taste nutty. Does it make the icing taste nutty? Or legume-y? I’ve actually never had any type of legume before, unless you count nuts. I haven’t had tofu either, although I said I didn’t like the idea of tofu in desserts earlier. I’m like a 5 year old when it comes to eating new foods. 🙁 So many pretty pictures and happy anniversary again! Maybe you should try chickpeas on their own first… cook your own though, canned aren’t as good. I, myself, like them so much that, whenever I make a recipe that calls for chickpeas, I have to cook extras, for I know I’ll end up munching on them like crazy and will run short if I don’t cook more. Well I’m super happy that you don’t think ill of me. I know you wouldn’t post a recipe for something you don’t like, but it’s so hard to imagine. Especially since I haven’t had a few of the main ingredients before! I looked for chickpeas today when I was looking for the coconut flour but realized that I didn’t know the German name or what they looked like. Or I kind of knew that they looked like, but there were so many other things that looked the same and I didn’t know what those were either. Now I have the German name and I’ll get some this week! I saw a recipe for honey cinnamon roasted chickpeas yesterday so maybe I’ll try those before I start putting them in my frosting. Thanks for broadening my horizons! Did you say Honey Cinnamon Roasted Chickpeas??? OMG!!! That sounds awesome. I tried Honey Mustard Roasted Chickpeas once, but they didn’t turn out… Now I have to try the honey cinnamon. Sounds soooo yum! Did you say you had a recipe? I am SO excited to have found this blog. I found it when a friend posted a recipe on facebook. I dont eat processed sugars at all and have found it hard to find healthy treats….such as cake! I am planning on making this next weekend. Thank you for this wonderful blog. I am SO excited to read more! Well, you are in for a treat, Ann! 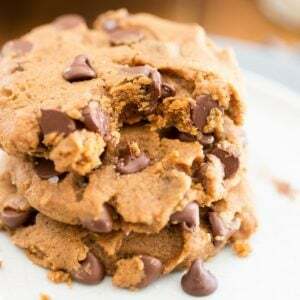 😉 I plan on making at least two to three healthy desserts / treats per month and the one ingredient that you can be certain I will NEVER be using is refined sugar. In fact, I’ll even try and avoid using added sugars, such as maple syrup and honey, and will definitely keep their utilization to a minimum.